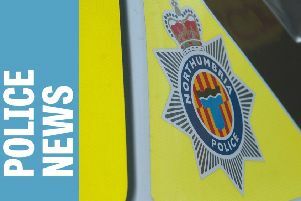 Crime figures are tumbling in the Morpeth area, the latest figures show. Overall crime is down 14 per cent on last year for the period from April to January 13, making it the only part of Northumberland to show a reduction. Burglary is down 29 per cent, burglary other than dwelling has fallen 38 per cent, and vehicle crime has dropped by 43 per cent. However, violent crime has risen by six per cent and anti-social behaviour reports are up 16 per cent, with youth anti-social behaviour up four per cent. Morpeth Inspector Steve Baker said: “This is the only part of Northumberland which has shown a reduction in overall crime. It is due to a huge effort, not just by the police, but also because of a lot of work by Isos Housing and other partners. “One burglary is one too far and if you have been a victim we don’t want it to seem inconsequential because it is not, but they tend to be one-offs and opportunistic in nature. “Vehicle crime has seen a 43 per cent reduction, but in the period over Christmas there were 16 cars broken into — about 15 of them were unlocked. It is frustrating and there is very little we can do about that other than to keep banging the drum about crime prevention. “Violent crime is up, but we put that down to the fact that we have two mental health hospitals. Our sympathies go out to these people, but we still have to report incidents as crimes. The figures are skewed by that, but that is just the rule. In the run up to Christmas just three shoplifting incidents were reported, which Inspector Baker puts down to the success of the Shopwatch radio alert scheme. Funding for four extra radios for charity shops has recently been secured.